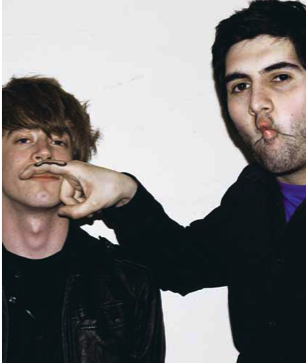 Digitalism is at it again with a new mix created especially for !K7's DJ-Kicks series. German duo Jens Moelle and Ismail Tüfekçi have put forth a grab bag of sounds showcasing their history. Ranging from new-wave, house and disco, to glamour pop and punk, So Totally Cool, one of the exclusive tracks off of the mix is just that: so. totally. good. The intro takes off slowly, building steadily, and then all piles in. The bass is tickles your memory a bit sounding a tad like Daft Punk, and then the track just takes off. Throw in some piano, Casio kick snares, and synth vocals and Voila. Largely comprised of remixes, this mix does have about 8 exclusives on it. US release date is July 10 ok !K7 Records. Check it out!